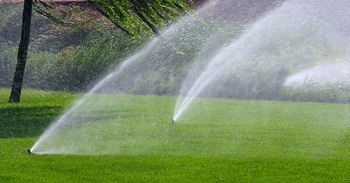 The efficiency of your lawn irrigation system impacts the appearance of your landscaping. Though the system is quite low-maintenance, it may break down occasionally. Whenever that happens, call Cedar County Landscaping, Inc. for sprinkler system repair. We provide irrigation system repairs for home and business landscaping and can handle any simple or complex sprinkler repair. Sprinkler repair should not be postponed. Neglecting irrigation system repairs can cause costly damage to the landscaping. Call us immediately for sprinkler repair and have your automatic sprinkler system restored in top condition. Let our sprinkler system repair pros help keep your lawn and plants adequately watered, lush green and beautiful. When we carry out sprinkler system repair, the system remains fixed. 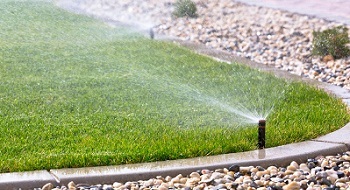 Our sprinkler repair specialists work hard to deliver accurate irrigation system repairs. Besides irrigation system repairs, we offer sprinkler system maintenance to help you put your garden hose away for good. We keep your system operating well all year long with spring start-up and fall winterization services, complete with irrigation system repairs, if necessary. Trust us for sprinkler system repair and maintenance; make sure you never have a scorched turf. Why Choose Us When You Need Sprinkler Repair? We are committed to resolving your landscaping irrigation problems with the most efficient and affordable irrigation system repairs. Our sprinkler repair experts can perform irrigation system repairs for almost any brand of sprinkler system. We realize that a delay in sprinkler system repair means a delay in watering the plants and that, in turn, can mean damaged or dead plants. Coming prepared with well-stocked service trucks, our technicians respond promptly to your call for irrigation system repairs and prevent the expense and hassle of plant replacement from adding to your sprinkler system repair worries. 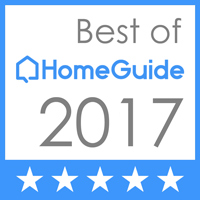 We are sure you will be delighted you chose us to meet your sprinkler system repair needs. Need irrigation system repairs? 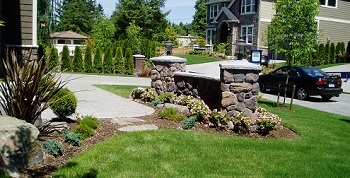 Call Cedar County Landscaping, Inc. for sprinkler repair services at 425-358-2779.